Insurance is one of the only things you buy with the hope that you’ll never have to actually use it. But should the unexpected happen, you want to make sure you know what's covered under your plan. Here are some of the surprising expenses your standard homeowners insurance policy doesn’t always cover. Your homeowners insurance does cover damage due to some natural disasters, like tornadoes or lightning strikes. But others—earthquakes, for instance—are a different story. As the Insurance Information Institute points out, earthquake coverage must be purchased as a separately policy or as an add-on to your standard policy, either through your insurance company or a third-party vendor. 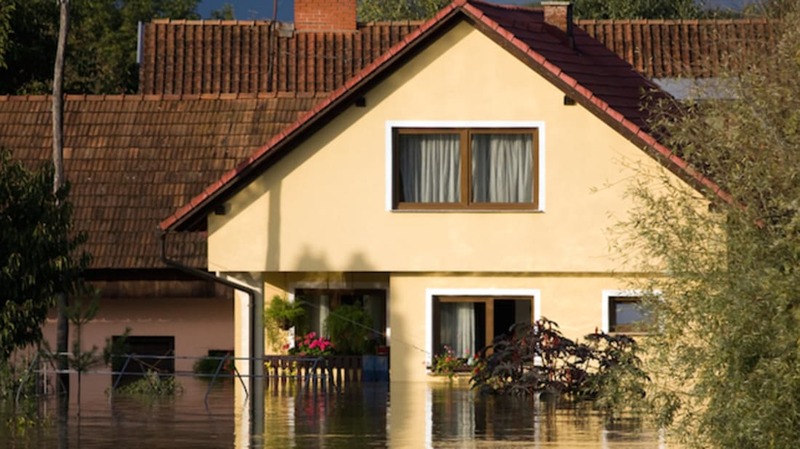 You can buy flood insurance from private insurance carriers or from the National Flood Insurance Program. In some designated flood zones, this insurance is actually a requirement. For this reason, prevention is key. If your pipes have any leaks, for example, you’ll want to have them fixed immediately to keep any potential mold at bay. Termites can cause serious damage to your home, and that damage isn’t always covered. Again, this is because standard homeowners policies only cover “perils that are sudden and accidental,” as Allstate puts it, and termites and other pests are usually considered preventable. It pays to periodically hire a termite inspector. Most experts suggest an inspection every couple of years so you can catch the critters early, saving thousands of dollars on potential repairs. Here’s one to keep in mind if you work from home: Your standard homeowners policy won’t cover your business losses. This means, if you have an inventory of products you sell for your business, your policy probably won’t cover those items, either. Most small business owners need a separate business policy to cover business-related items and liability. A sewer backup is a nightmare, and to make matters worse, most standard policies don’t cover them because they're preventable with proper upkeep. You can, however, purchase this coverage separately for about $40 to $50 extra a year. If the damage from your sewer backup is so extensive that you are forced to temporarily relocate, the Insurance Information Institute says your standard policy might cover your short-term living expenses under its Loss of Use coverage. Burst pipes are usually covered, but not always. If your insurance company assesses the damage and determines it was due to negligence, they may not want to pay up. If your pipes had a minor leak, for example, and you procrastinated fixing it, your carrier may consider that to be lack of maintenance. And in that case, your policy won’t fly. For this reason, it’s important to take proper care of your pipes, and that means preventing them from freezing in the winter and making sure they’re protected when you travel. If someone is injured in your home, your standard insurance policy will typically cover the medical costs. However, some policies specifically exclude injuries from "high risk" structures like trampolines or treehouses. And while most pool injuries are covered, some policies will nullify that coverage if you have a diving board installed.